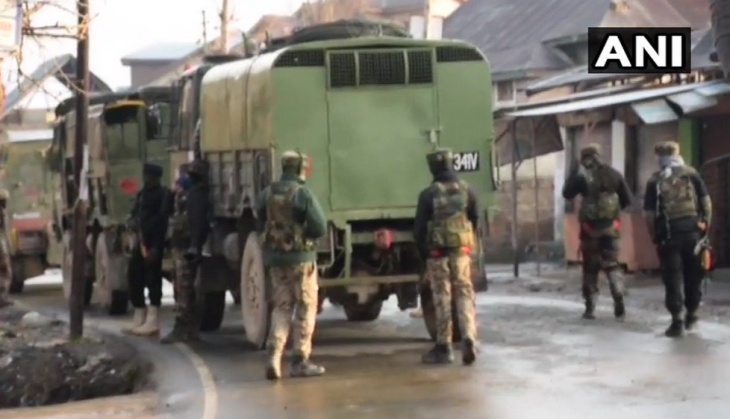 After 60-hours of a gunfight between Security Personnel and terrorists in Jammu and Kashmir’s Kupwara district, five security personnel were killed on Sunday. Earlier, 4 security personnel were killed, later one CRPF soldier succumbed to his injuries, reported news agency ANI. According to police sources, there is no clarity about how many terrorists have been killed or still hiding in residential houses at Babagund village. Two martyred jawans belonged to CRPF, while the other two were from J&K police. On Sunday, one more CRPF personnel succumbed to injuries. A civilian Waseem Ahmad Mir was also killed in the encounter, officials said. Several others were injured following clashes near the encounter site on Friday. The two Jammu and Kashmir police personnel who lost their lives were identified as SgCt Naseer Ahmad Kholi and SgCt Ghulam Mustafa Barah. while the two CRPF personnel were identified as Inspector Pintu and Ct Vinod. "Citizens are requested not to venture inside the encounter zone since such an area can prove dangerous due to stray explosive materials. People are requested to cooperate with police till the area is completely sanitized and cleared of all the explosive materials if any," the police said in a statement. During the night there was no firing between and the search operations in the area are still on. The encounter began on Friday morning, after which army had said that two terrorists who were hiding in the village have been killed. But soon firing by the terrorist side started as the security forces advanced towards the house where they were hiding.